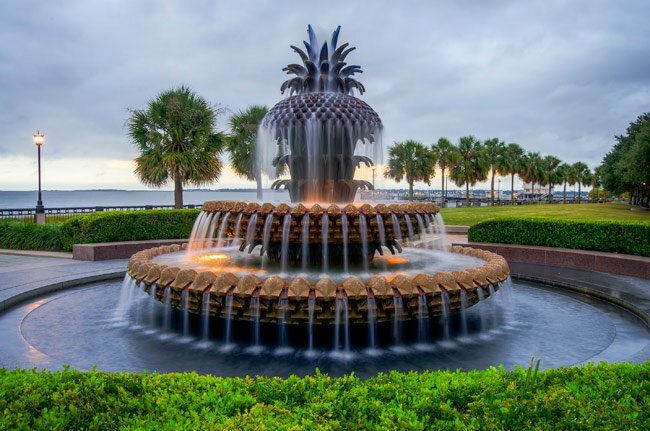 The Pineapple Fountain is a focal point of the Charleston Waterfront Park, which people have been enjoying since it opened in 1990 – the spring after Hurricane Hugo. 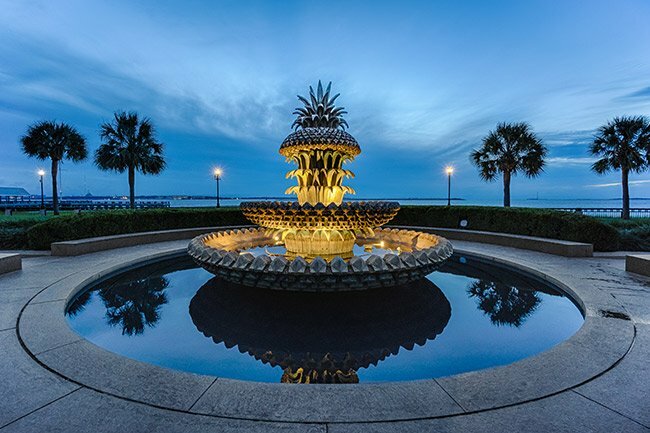 Pineapple motifs are common in Charleston and represent hospitality. 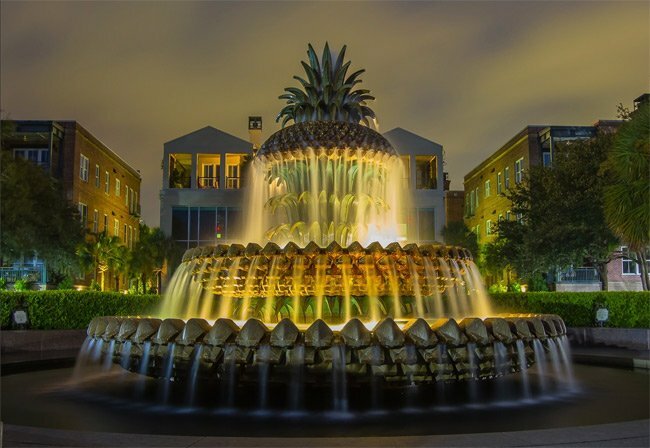 Photographer Pamela Oliveras, who shares the photo below, describes her visit to the Pineapple Fountain during the January 2018 snowstorm. Congratulations on your upcoming nuptials, we wish you the best! 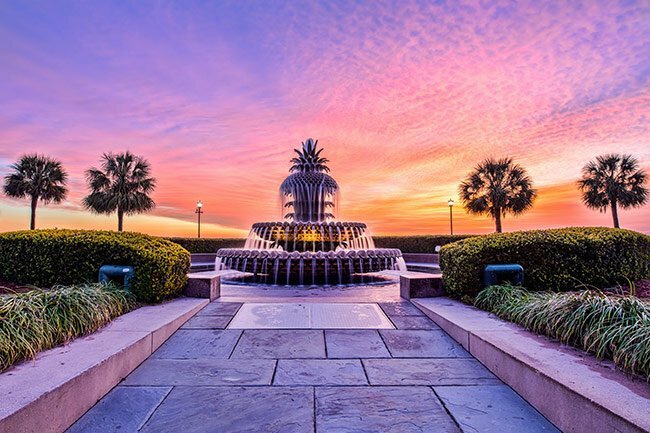 The link to get to the steps needed to get that venue secured are located here: https://www.charleston-sc.gov/index.aspx?nid=362, hope this helps! 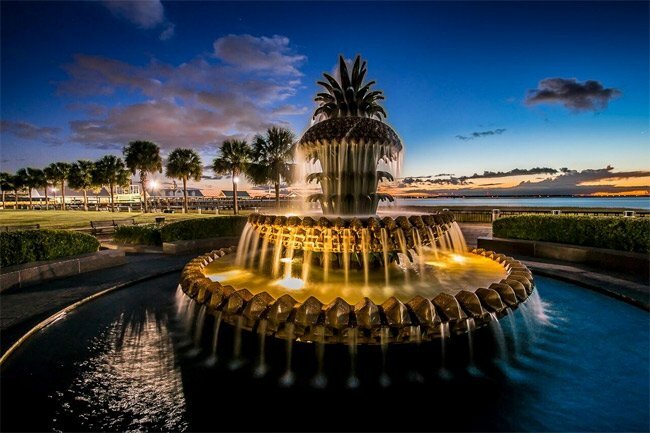 I would like to get married at the fountain. 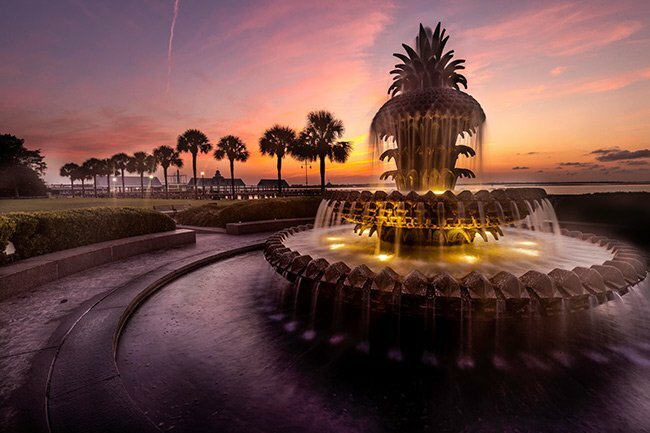 I know I have to contact the city of Charleston but I don’t know where to go on their website. Any tips? Thanks! Hi, Natalie. 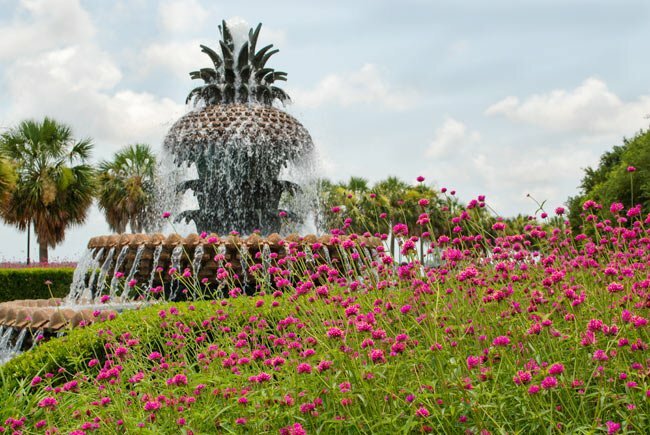 You will need to contact the City of Charleston. 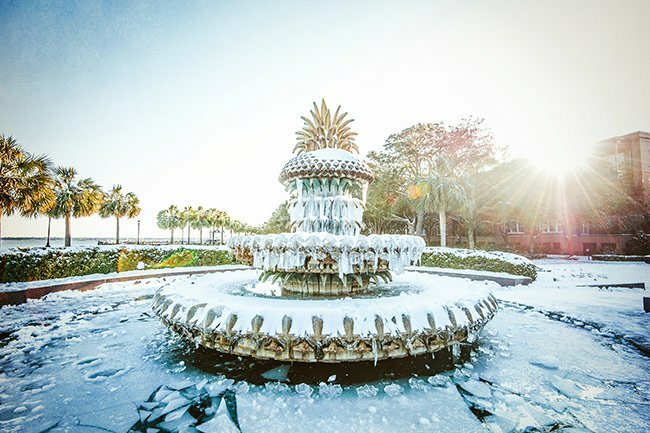 Here is the website: http://charleston-sc.gov/ Best of luck! Hi, Beverly. 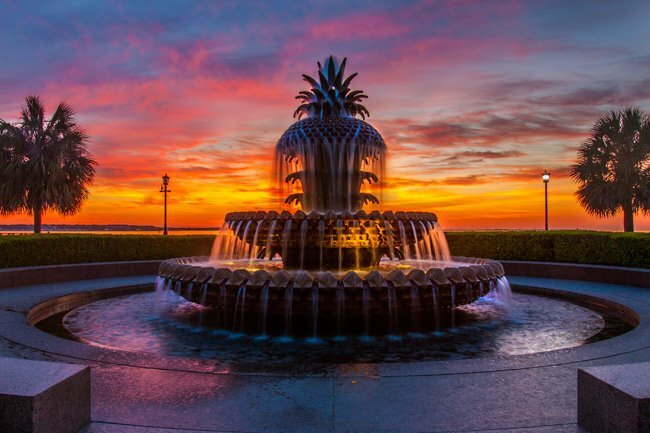 We are so glad you like the photos in the SC Picture Project! There should be a link to the photographer if you click on his or her name beneath the photo you like. If there is no link, please send us the name of the photographer whose photo you wish to use, and we will try to get that person’s email address to you (we do not own the photos; the photographers voluntarily share them with us). Please email us the photographer’s name at this address: service@sciway.net Thank you! I so love your pictures. I’m an esthetician and would like to use your picture on my Facebook page, twitter etc. I would be happy to say it’s yours! Thank you. 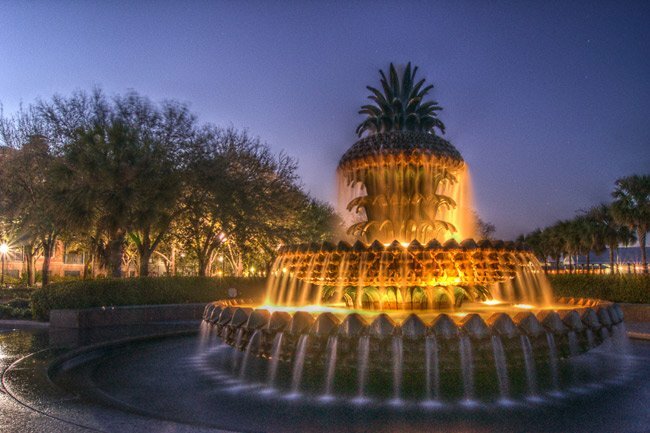 I’d like some information about having a wedding at Pineapple Fountain. 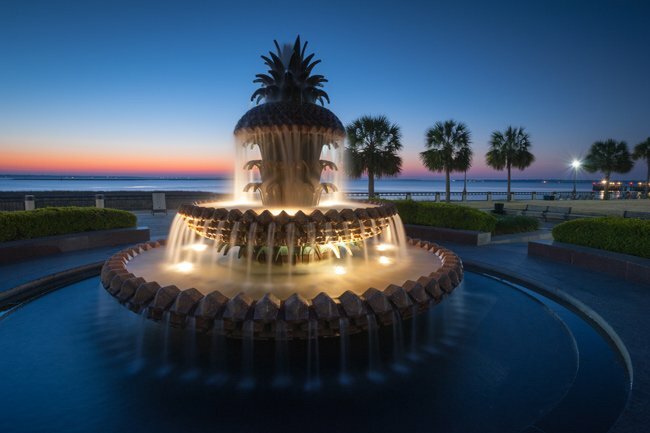 This is one of my favorite sites in Charleston. I have some great pictures — how could I share these?